"What can we, as a community, do to help you and your startup?" 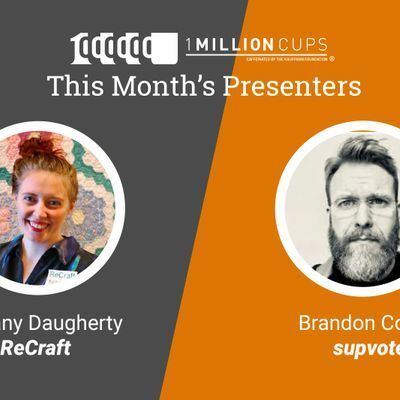 Join us for the next 1MC monthly meetup! As always, we will feature presentations from 2 startups at different stages in growth and then you'll have a chance to ask questions and provide feedback through 15-20 minutes of Q&A. Doors open at 8:00am for coffee and conversation | Program begins at 8:30am. SUPVOTE: Gathering honest reliable feedback from a live group is spotty at best. Too often, only a small set of extroverts will provide feedback when asked by moderators, skewing the overall ethos of the group to those extroverts ideals. 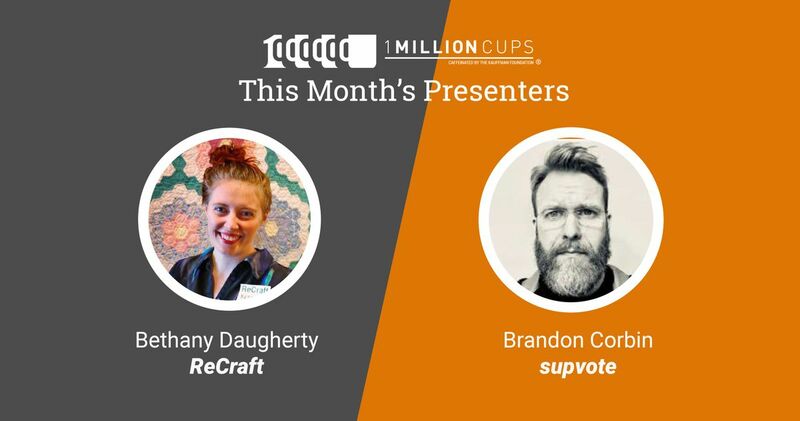 Launched just a few weeks ago by serial entrepreneur Brandon Corbin, Supvote makes it easy for introverts and extroverts to provide honest, anonymous feedback in real-time - while giving moderators the ability to monitor live stats, and adapt questions on the fly. RECRAFT: Founded just a few months ago by first-time entrepreneur Bethany Daugherty, ReCraft is a secondhand store for craft and hobby supplies, focused on sustainability and environmentalism. Currently, it is difficult to source eco-friendly and sustainably made crafting supplies. Shopping secondhand is better for the environment, but most traditional thrift stores do not deal with craft supplies or will have a very limited selection. ReCraft is a place for environmentally conscious crafters to be able to find quality and affordable eco-friendly supplies. Thank you to our sponsor Fullstack PEO. 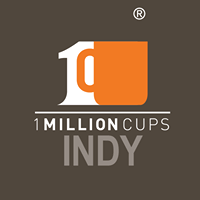 1MC Indy is organized by the Indy Chamber, Speak Easy, Elevate Ventures, Ivy Tech Community College, beLithe, Hinton's Pig Chips, and Logika.